Warm Up America! is the perfect project in which to involve a group of children and teens because it engages them in community service work. Many teachers begin by having the children select the charity. 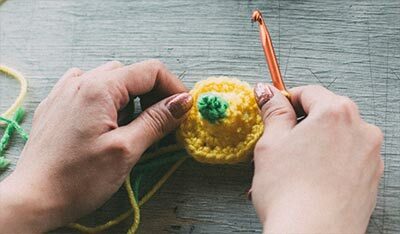 Learning to knit and crochet is also a process that draws a group together. Not only will they learn from you, but from each other. Those children who grasp the skills more quickly help others. Assembling the actual afghan is another growing experience, where the children discuss and comment about how to arrange the different colored sections. Finally, having the children participate in the presentation of the finished blanket wins them well-deserved praise. Along the way you can involve family, friends and outside groups such as members of local senior centers, making the project truly intergenerational. The older adults can also provide additional assistance with teaching and assembly, which you might need. Warm Up America! 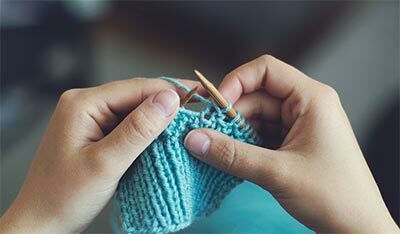 is a win/win program: the children better understand how their time and effort can help someone in need of warmth, and in the process they learn a skill that will last a lifetime. For more helpful hints about starting a Warm Up America! project, we invite you to visit http://www.warmupamerica.org/how.html and read the Teachers Stories.